Barring injury guard Corey Webster looks certain to become the fifteenth Breakers player to score 1,000 points for the club. 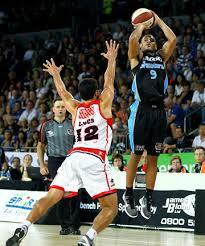 Following his 53 points haul in the last two games Webster has moved his tally of points to 997. The list of leading scorers for the Breakers is headed by Kirk Penney with Tom Abercrombie fast closing in on the record held by fellow former Westlake Boys High School standout. Elevated to a starting role this season, Webster leads the Breakers scoring with 417 points at 15.4 points per game and is about to become the third ex Westlaker on the star studded list.